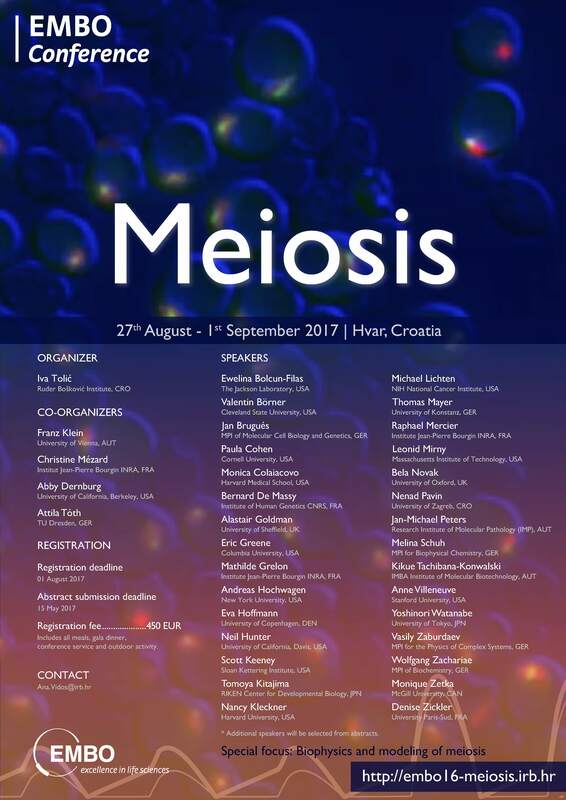 Under sponsorship of the European Molecular Biology Organization (EMBO), Prof Iva Tolić organized EMBO Conference on Meiosis 2017 which will take place on the island of Hvar, Croatia, from 27th August to 1st September 2017. Biophysics and modeling of meiosis are a special focus for the 2017 meeting, because it has potential to further vitalize and reshape an already vibrant field by bringing in new ideas and fermenting more interdisciplinary research. This focus will be embedded in a general framework of important meiotic topics.